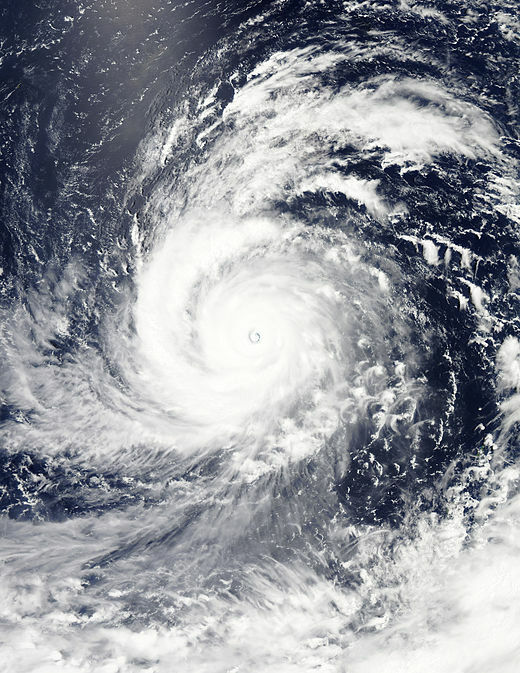 This was Typhoon Soudelor (if it occurred in the Atlantic or East Pacific, you'd call it a hurricane). This storm began on July 29th. It underwent rapid intensification on August 2 to become a category 5 super typhoon on the 3rd. 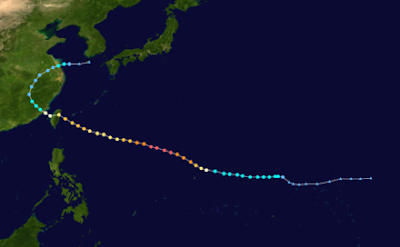 It had 10-minute sustained winds of 130 mph with 1-minute sustained to 180 mph. By the time the gif you showed me occurred in the 5th, it started to weaken. The pictures attached are from the article, and depict the track and strength of the system. And the second one is the typhoon at peak intensity on the 4th. If you have any additional questions, please feel free to ask! In addition to being cool, I think this email is illustrative of the driving force behind scientific illiteracy. I am privileged that I can consult an expert when I have a question, and even though I don't know much about storms, I know that there are people who do. If you ever wonder how someone could consider climate change a hoax, remember that many people know the same number of scientists, billionaires, and leprechauns. Many people assume 'scientists' are just people who look up at the sky and make assumptions rather experts with advanced tools and training. I think it's amazing that answers to these kinds of questions are available. I hope that one day everyone knows how to get in touch with the efforts that they need.